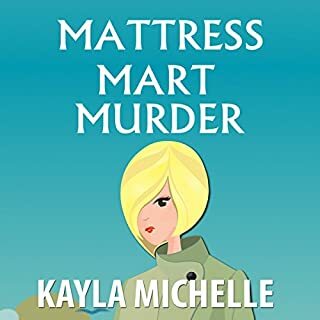 Thirty-four-year-old cosmetics saleswoman Chloe Cook is busy searching for a love that lasts in the tourist town of Cape Cod when a murder strikes. The victim is Marty Diamond, a mattress mogul known for his high pressure sales tactics and schlocky TV ads. Unfortunately, the local police detective suspects that Chloe's good friend Kristina Miller is the killer. To prove Kristina's innocence, Chloe has to take matters into her own hands and find the real killer herself. Everyone's a critic. But sometimes words cut deep and the wounds turned deadly. That's what happened to Claude Giraud, the top restaurant critic in town. He had run afoul of the wrong restaurateur, and it is now up to amateur sleuth Hope Hadley to figure out which one. I have enjoyed these books but this one seemed to end very abruptly. Other than that it was cute , funny, and kept me thinking. When a restaurant critic known for his brutal reviews turns up dead, there is no shortage of potential murderers in this murder mystery. It's short and sweet. Perfect for an afternoon or a short trip. This was a very good listen. It has a great combination of mystery, suspense and a little romance. 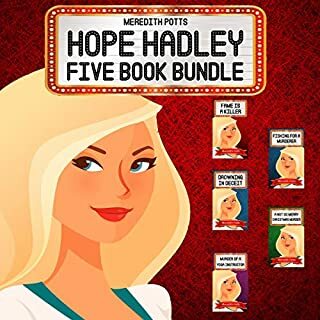 Murder of a Restaurant Critic is the seventh in this series featuring Hope Hadley, but I had not read any previous books in the series and had no difficulty following the story. As a fan of the author's Treasure Cove/Daley Buzz series, finding this new series was a treat. Hope Hadley is an amateur sleuth with a knack for investigating murders, and she works to assist her police detective brother on his cases. With this particular case, Hope is investigating the suspects in the murder of a reviled restaurant critic, and I must admit that he was more villain than victim. With glimpses into all the lives he had ruined with his nasty reviews, the author introduced a lot of viable suspects, and I wasn't certain until the end which one actually committed the crime. 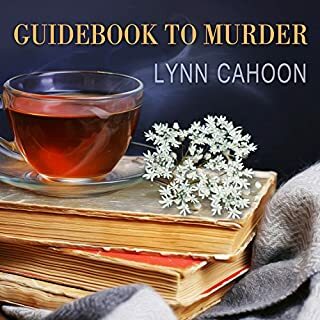 As much as I enjoyed the mystery, it was really the give and take between Hope and her brother that cemented my enjoyment of this fun cozy mystery. S.L. Crawley's narration was excellent. She had a smooth and pleasant delivery, and her voice worked equally well for the male and female characters. I would definitely listen to another of her audiobooks in the future. This time Hadley has to solve the murder of a restaurant critic. He had plenty of enemies. /She and Joe worked to find the killer. With all the enemies the victim had will they find the killer? I love this series. It keeps me entertained through out the book. The narrator does a fantastic job. I look forward to the next book. I so enjoyed this short listen by Meredith Potts. Murder of a Restaurant Critic is filled with multiple suspects, great banter, and a food critic. I love the characters of Hope Hadley and her brother Joe. The author wrote an original story, and the twists were wonderful. I had not expected the killer to be who it was. Buster added to the story as well. S. L. Crawley did a great performance with this book. I requested this review copy audiobook and have voluntarily written this review. I will definitely listen to more books by this author and narrator. 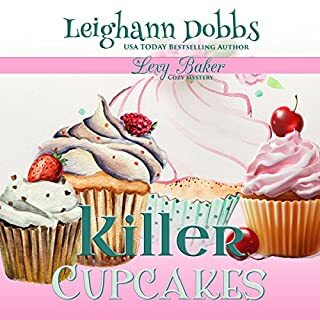 This book is part of a series and is a delightful standalone listen. 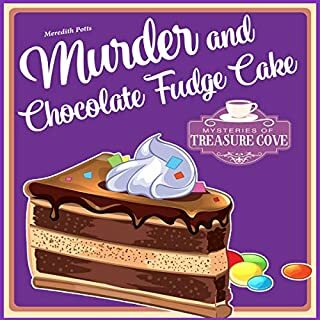 This is a cute cozy mystery. It moves along at a fast-pace and made my drive today pass quickly. This isn’t my usual genre, but it might be from now on. I liked the protagonist and a fast-paced mystery that leaves no loose ends is great! Joe and Hope are a great team. This books is fairly short, and it’s perfect for a commute or chore day around the house. Would definitely read a Meredith Potts book again. 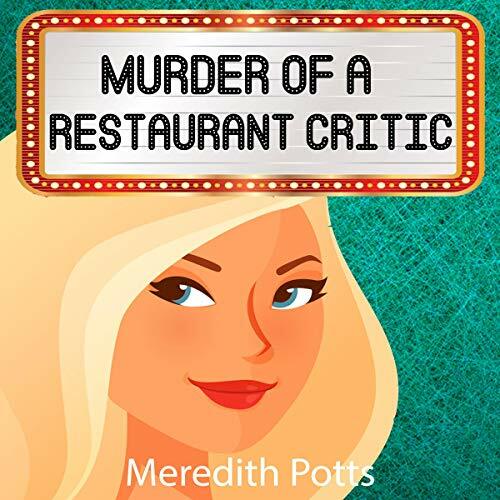 Murder of a Restaurant Critic was a cute cozy mystery. It played out pretty fast as it was under two hours but still a good listen. It was lean. This is the first audiobook I've listened to by Meredith Potts. While this is book 7 in a series I felt it was fine as a stand alone. Overall I liked it and would listen to more from the same author and narrator. S.L. Crawley's narration was very good. She had great voice inflections and gave the characters good personas. She read progressively which I liked as well. 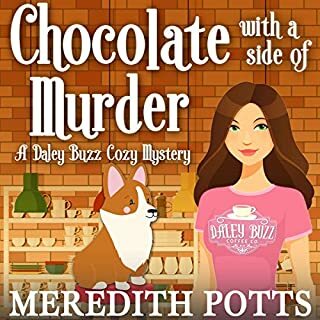 My twentieth short read/listen from author Meredith Potts, A cute, well-written & enjoyable clean cozy mystery, the seventh in this series. I was given an Audible copy of this book & am voluntarily reviewing it. I was impressed and enjoyed the vocal variety & inflections of narrator S.L. Crawley. I look forward to reading more in this series & from this author. (RIP Marley January 20, 2014 - July 24, 2018). The premise of the story is a good one, but after reading the title you know the critic is going to get it real soon; let's hope this doesn't continue on to reviewers of this book as we're also critics! I found the accent a bit strong, but that's probably just me. I would have preferred a more generic accent to make the listening easier, but I understand that each book can not be personalised for every listener. I expect there will be more in this series and I look forward to listening to them. I enjoyed trying to find the clues and identifying whodunnit. How about a little home cooking? Murder of a Restaurant Critic starts well - Hope Hadley is the passenger in brother Joe's police car as they pursue a suspect through busy traffic. Then the reader is taken back a day to find out who, and why? From this moment, this reader basically lost interest. The plot was a good one: a vicious restaurant critic had been found murded, suspects were numerous, from chefs whose business had been destroyed by him to the about to be divorced wife. But the interviews by the detective couple, Joe and his sister, were trite, Joe, it seemed, constantly angry and Hope smug and patronising, becoming distressed when the case had not been solved in a couple of hours. Although I could not recommend this book to anyone as a good read, it is short enough to fill an hour or so with undemanding listening and, as previously mentioned, the narrator's voice is a pleasure to hear. My thanks to the rights holder of Murder of a Restaurant Critic, who, at my request freely gifted me with a complimentary copy, via Audiobook Boom.